A DC Superior Court judge has dismissed charges of felony rioting against six people arrested protesting during Trump’s inauguration. However, the judge has denied motions to dismiss seven other charges related to property damage. After hearing from prosecutors and defense attorneys, Judge Lynn Leibovitz said on Wednesday there was not enough evidence against four women and two men to prove they urged others to riot. “None of them engaged in conduct that amounted to urging other persons to destroy property,” the judge said, according to the Washington Post. Since the trial began on November 20, prosecutors had sought to blame the six people for inciting a riot, even though they lacked evidence. Prosecutors said the group smashed store windows with bricks, hammers and crowbars and damaged a limousine. Police said in court filings that the damage was in excess of $100,000. Defense attorneys argued their clients protested peacefully and exercised their right to freedom of speech. They said only a small group broke off and turned violent and that police overreacted by making mass arrests. BREAKING: Felony charge against first round of 6 #J20 defendants for "inciting a riot" dropped by Judge Leibovitz after saying evidence, including Alexei Wood's livestream, lacks a "directive gesture." 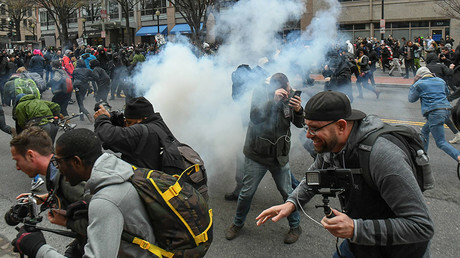 The six defendants still face seven other charges, including five felony destruction of property counts, which carry up to 10 years in prison and two misdemeanor engaging in riot charges, each carrying up to 180 days in jail. Inciting a riot, the felony charge dropped, carries a maximum penalty of up to 10 years in prison and a fine of up to $25,000. 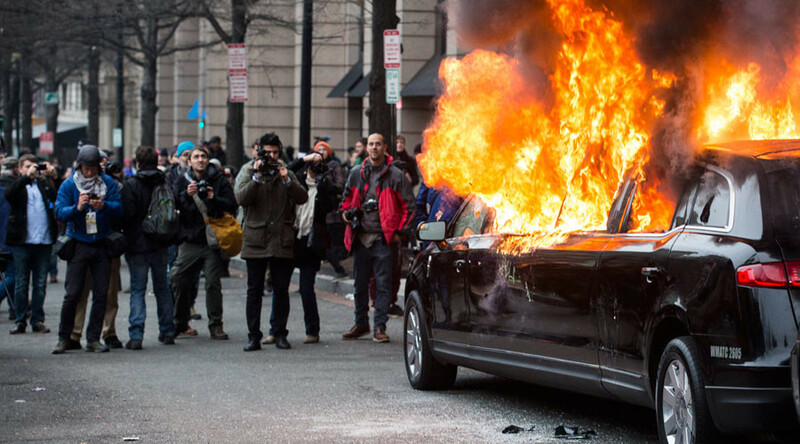 Today's dismissal of the felony incitement charge leaves the jury to decide on the remaining 5 felony counts of property destruction and the misdemeanor charges of engaging in a riot and conspiracy to riot. On trial are Michelle Maccio, 26, of Florida, Christian Simmons, 20 of Maryland, Alexei Wood, 37 of Texas, Oliver Harris, 28, Brittne Lawson, 27, and Jennifer Armento, 30 of Pennsylvania. Judge Leibovitz rejected defense attorneys’ attempts to toss out video evidence cited by the prosecution. The defense argued that one video, taken by the conservative group Project Veritas, had been edited. Leibovitz also permitted video of Wood’s arrest and other protest footage recorded by the conservative group Oath Keepers. 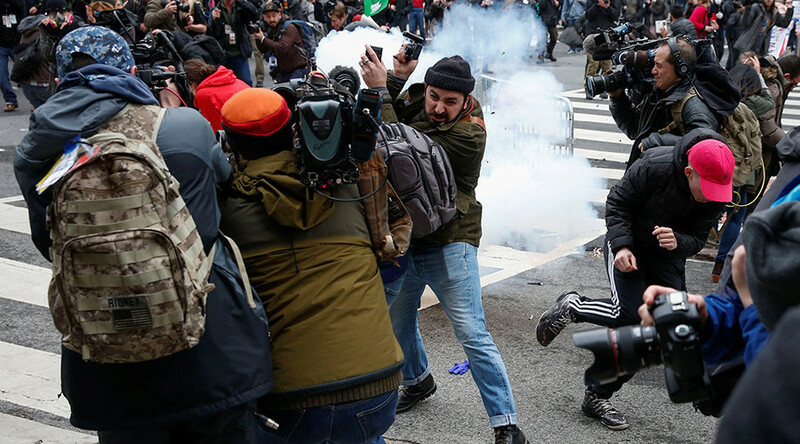 About 230 people were detained during mass arrests by the Metropolitan Department police for their alleged involvement in demonstrations on January 20 that led to the destruction of property along 16 downtown Washington, DC blocks. #J20trials: Other than dropping the felony inciting a riot charge, Judge Lynn Leibovitz just gave a clear stamp of approval to US Attorney's attempt to convict protesters, medics, and journalists for wearing black and not leaving a protest where no dispersal order was ever given. 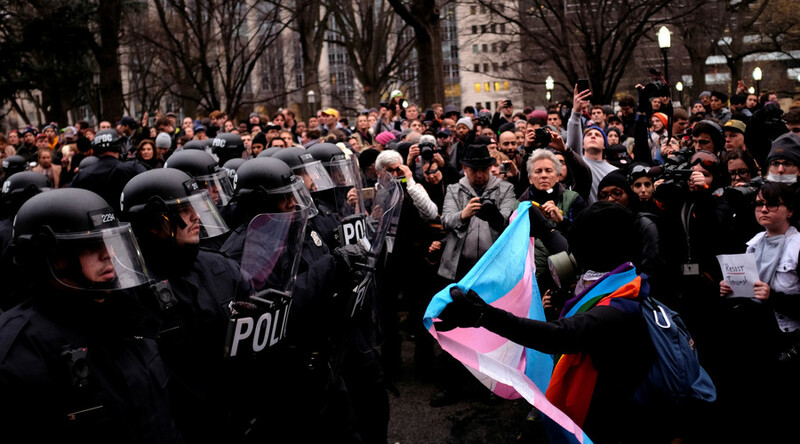 The judge’s decision came after a character witness testified Tuesday that the J20 protesters on trial were peaceful during the demonstration. It is the first trial. While some people have pleaded guilty or been let off the hook since their arrests, 188 still face charges. 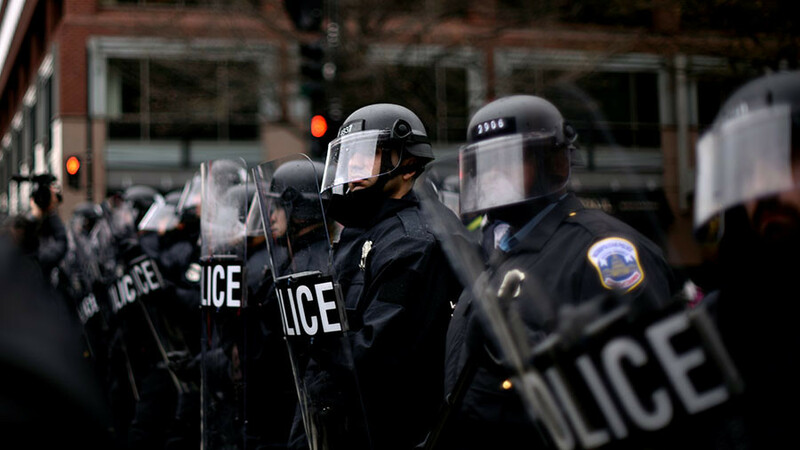 The DOJ issued search warrants in July to DreamHost, a web-hosting provider, seeking information about the approximately 1.3 million visitors to the website disruptj20.org, which organized the Inauguration Day protests. The government backed off after a backlash from civil liberties groups. Most of the people arrested had also been “kettled,” a tactic where police trap protesters in a confined area. Civil liberties advocates worried the prosecution had painted everyone charged as a violent protester.